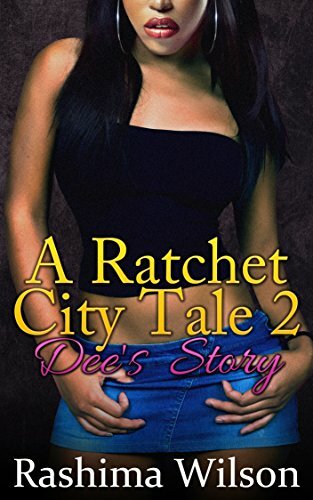 Dee, the hardscrabble hood rat from Ratchet City #1, is back with her own story... Dee has always been a girl who knows how to hustle. From the time she could walk, she knew the value of a dollar - and how to work for it. You have to, growing up on the streets of Ratchet City. A natural beauty, Dee's childhood in the ghetto and a slew of foster homes has given her a hard edge that belies her appearance. Tough as nails and unwilling to take smack from anybody, she's built to survive in a world where you're either the player or getting played. Still, even she may not be ready for what's ahead when she hooks up with Dre, a much older man who knows how to get into a young girl's head (among other things). But Dre's not the kind of guy you bring home to meet Momma; he's a man that trouble - dangerous trouble - follows around like it's attached with a chain. And despite her ability to navigate treacherous waters, Dee may be getting in over her head.